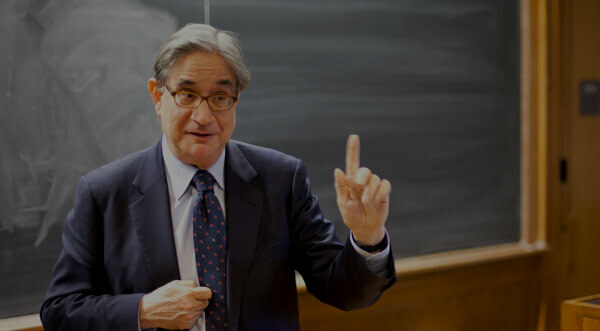 In this lecture, Professor Freedman discusses the Abbasid dynasty, which ruled the Islamic Caliphate beginning in 750. The Abbasids moved the capitol of the Caliphate to the newly-built city of Baghdad and created a state characterized by a strong administration and well-organized tax system. The state sponsored a cultural flowering, based in part on the translation of classical Greek and Roman texts. Professor Freedman ends the lecture by focusing on developments in mathematics and astronomy. Professor Paul Freedman: OK, in 743, civil war started within the Umayyad my family over the caliphal succession. This war broke out in Persia, which is a little unusual because until this point the subversive, discontented, proto-Shiite region had been what is called Kufa, basically southern Iraq as it now is. It’s thought that this revolt against the Umayyads had the support of the mawali. And it makes sense that if it was in Persia, the largest non-Arab Muslim country, it makes sense that you would have the most [correction: largest] concentration of non-Arab Muslims, that is to say converts or the descendants of converts, who might feel that the egalitarian promises of Islam had been betrayed and that in fact the religion was an Arab one in which non-Arabs were in a subordinate position. The non-Arab Muslims of Persia had converted, some from Christianity, most from Zoroastrianism, a religion of central Asia. Wickham takes issue with this. If you go back to your reading, pages 292-294, he says that he doesn’t think that the discontent was related to somehow the Umayyads being an excessively Arab, rather than Muslim, dynasty or that they provoked discontent among recent converts. So this is an open question. I think there’s got to be some Mawali discontent, but as we’ve seen already there’s plenty of discontent: Shiite-Sunni being the most obvious, inter-tribal, regional, problems of holding this empire together. At any rate, in 749-750, the Umayyad caliph was deposed by a member of another family known as the Abbasids. This new caliph, Abu’l Abbas, Abbas – the Abbasids. The Abbasids were early followers of Muhammad, although not particularly heroic ones. The family had been supporters, but hadn’t taken very many risks. So the Abbasids are not heroes, though they are an old family. The Abbasids came to power with support from the Shiites. This is what Wickham means by what he calls their “salvationist theology”; salvationist meaning that they were going to restore the religious fervor that the Umayyads had dissipated. So that they were originally supposed to represent a return, a reformation, of Islam to its austere roots in which the caliph was a modest, clean-living, austere figure. They very quickly, if that was the hope of the Shiites, the Abbasids very, very quickly betrayed this. They moved their capital from Damascus, the Umayyad capital, to a new city that they constructed in the desert, Baghdad. A city built in concentric circles as a planned round fortress city, but also a commercial city and, of course, predominately city of administration. It was located thirty miles from the old Persian capital. The Persian Empire was ruled from Ctesiphon. Relocating the capital of the caliphate to Baghdad has a number of obvious implications. While most historians would not be quite as confident as Peter Brown, whom you’re reading for Wednesday is, that this represents the “Persianization” of the caliphate, it is certainly true that moving the capital to modern Iraq, to the Mesopotamian part of the former Persian Empire, orients the caliphate further to the East. It changes the center of gravity of the caliphate from the Mediterranean, as in Damascus, basically to Persia, India, the lands between them, modern Afghanistan, Pakistan. At least those are as important, if not more so now, than the Mediterranean. Even though the empire stretches from the Indus River to the Atlantic, its center of gravity has clearly shifted. This has implications also for culture, as we’ll talk about in a moment. The accomplishment of the Abbasid caliphate in terms of culture is to bring together realms that had not been in very much contact with each other, certainly not in terms of ideas, namely India, Persia, and the Roman Empire, the former empire of the Mediterranean East. Persia stands in the middle between India and the West. To the extent that Persia is not an isolated empire of its own but a crossroads, this means that there’s all this exchange of information, techniques, science, art, and culture. But most of all, the establishment of Baghdad clearly means a different kind of rulership. One that it does not break with the Umayyads, but rather, to some extent, elaborates on it. This is an empire. It is not a kind of sacred kingdom of people living in tents. This is an empire more open to Eastern influences. That is to say somewhat more Persian in its style. Less Mediterranean and originally more Shii’te. So the significance of the Abbasid takeover is really basically twofold. One is this move east to Baghdad with all that it symbolizes that I just got through saying, the influence of non-Arab Muslims, and the creation of a complex administration, an even more complex administration than that of the Umayyads. And then, two, it shows the influence of the Shiites. This begins as a Shi’ite victory, but very quickly the Shi’ites, as I said, are disillusioned, and so it also shows the limitations of the Shi’ites. The Shi’ites don’t just want a non-Arab dominated Islamic world, they want what we called last week a “republican administration”, a non-monarchical polity. And the Abbasids are monarchical if they’re anything. Until the early tenth century, when the Abbasid caliphate starts to break up, the world of Islam was splendid, rich, cultivated, and scientifically progressive. There would be no more great conquests, particularly in the West. Already, before the Abbasids took power, we’ve pointed to two moments in which the Arab expansion, or the Islamic expansion, was stopped. One in 717 before the walls of Constantinople, in the failed Siege of Constantinople. Two, the battle of Poitiers, not that far from Paris in northern France, in 733. A battle at which the Merovingians, or really their high servants, the so-called Mayors of the Palace, defeated Arab raiders who then retreated basically back to Spain. To some extent these defeats in the West were not so much defeats from the caliph’s point of view as a reorientation. In 750 moving the capital to Baghdad from Damascus also means less interest in the West; less interest in trying to take over France, if that was ever a serious goal; less interest in the besieging Constantinople. The Abbasids begin by inviting all of the Umayyad survivors to a banquet supposed to be a banquet of reconciliation. And instead they had their servitors kill all of the Umayyads at the dinner table, spread a leather cloth over them– some of them were already dead, some of them merely wounded– and with the leather cloth over them set the table again and banqueted on their dead and dying enemies. Satisfying, definitely. One Umayyad escaped. Not from the banquet, but he had the foresight to say he was busy. And he escaped as far as he could go in the Muslim world, namely Spain. The last Umayyad, then, Abd al-Rahman, came to Spain and was acclaimed by the population, or got himself to be acclaimed by the population, and ruled in Spain as the first Islamic ruler to defy the caliphate. Thus the first independent Islamic kingdom, we can call it – although they don’t use that term – the first independent Islamic kingdom, independent of the caliphate, would be Spain. The Umayyad ruler actually recognized Baghdad. He did not proclaim himself a rival caliph. It was easy for him to recognize Baghdad 3,000 miles away, or whatever it is, they weren’t going to come and get him. He took the title of emir, a ruler who is more like a title of a governor than that of a king. Nevertheless, as I said, Islamic Spain represents the first piece of the caliphal empire to break off. When the Abbasid caliphate ran into trouble in the early 10th century, then the Umayyad ruler of Spain proclaimed himself caliph. In 929 he proclaimed himself caliph of Cordoba. Cordoba was the capital of Umayyad Spain. So at this point Spain becomes the most splendid, most cultivated part of the Islamic world. So if the period of the maximum power and splendor of the Abbasid caliphate was roughly 750-910, the period of maximum splendor of the caliphate of Cordoba in Al-Andalus, or Spain, was about 850 to its sudden collapse in 1009. Questions? Problems? Lot of names here. We don’t have a final exam, so what do you care? But I realize it is a dramatic story, but one with a large cast of characters. By now you’re used to this in history. Whether these are good cat names or not, I’m not as sure as I am with the barbarians, but worth experiments. As Wickham has described, the Abbasid caliphate was based on tax collection and administration. And your response to that may be, “Yeah, well so what?” But that’s not true of all the states that we’ve been studying. If you take something like Merovingian Gaul, even though in the early period they’re still collecting taxes– remember Fredegund tells Chilperic, “Let’s burn these tax records and maybe our sons will be cured of their disease by God.”– but you’ll have scene in Gregory of Tours, that basically the Merovingians are rich because of plunder, military expeditions, and land. Land, above all, is the source of wealth in the kingdoms of Western Europe. Land, and the peasants to till it. Obviously it’s no good if it’s just empty land. Usually not, at least. It’s productive land, and this is the source of wealth. Therefore the state gains its wealth on the basis of things like land, military power, and not on the basis of taxing an economy that is more sluggish, has less trade, less income than in the cities of the Muslim world. The caliphate was a tax-paying state with a central army. Therefore the nobility, as such as it was, was not a group of local potentates, as they had been under the late Roman Empire, great landowners for example. Nor was it a military elite quasi-independent, whose loyalty to the ruler was conditional on their own interests, as we’ve seen with the Merovingian knights. Rather, it was a complicated administration, served as a structure of a vast empire, and the tax revenue came into the caliph, whose administration, whose civilian administration, was supreme over army, over local elites, over great landowners, at least for a time. The Abbasid Empire was the greatest state in the world at that time. Its only rival might have been T’ang, China, but this is the period of the decline of that empire. Baghdad was the wealthiest and largest city in the world. Among the programs of the Abbasids, in addition to building this planned city, creating a certain kind of military structure, consolidating their conquests, among their plans was a cultural program. The cultural flowering of the Abbasid caliphate is, in part, a planned flowering. Not just a spontaneous one. The caliphs funded translations into Arabic of Greek and Persian texts dealing with science, geography, mathematics, philosophy, and medicine, in particular. In 830, one of the caliphs established in Baghdad a kind of combination of library and research institute, called the House of Wisdom. The House of Wisdom, in the first place, paid for and sponsored translations, but it also conducted research activities. Things like an effort to measure the circumference of the earth. The kind of thing that – you know, how do you actually do that without modern instrumentation? A lot of the material that they translated was from Greek scientific works. Where did they get these? In some cases, they got them from Byzantium, from Constantinople itself. It’s said that one treaty between Constantinople and Baghdad called for, among other things, the Byzantine emperor to lend to Baghdad a copy of Ptolemy’s geography. Ptolemy, one of the great geographers of the ancient world, author of a book called The Great Geography, known in the West later on when it was translated into Latin from the Arabic as the Almagest, which is a Latin garbling of an Arab garbling of the original Greek title of the work. So this was known in the West, even when it was translated into Latin, as the Almagest. And it was just one of many works that, when they finally reached Western Europe in translations from the Arabic, kept a kind of version of their Arabic name. But the idea that, as part of a treaty, one of the things was you lend us this copy of Ptolemy so that we can translate it into Arabic, shows the commitment of the rulers to the expansion of practical knowledge. What Islamic scholars, scientists, and policy makers were most interested in from the classical world, that is from the world of the Greek and Roman civilization, was science. Broadly speaking, science. They were less concerned with Greek plays, Greek poetry, Greek literature in general. This is partly because they had their own poetic tradition, in Arabic, and partly because their real source of inspiration for literature would be Persia. The stories, as in the Arabian Nights, and the kind of lyrical poetry of the Arabs, like love poetry, or sensuous poetry, is either home-grown or Persian. So they translated things like Euclid on geometry, or the physician Dioscorides, who wrote, not the only, but the leading pharmaceutical manual. Pharmaceutical manual, a list of drugs, their properties, what they come from, what they can cure. However, although they concentrated on science, they also were interested in philosophy. They were also interested in propositions, the nature of reality, metaphysics, and the major project in this realm was the translation of Aristotle. Aristotle is someone who wrote on everything: on drama, poetry, politics, metaphysics, ethics, animals, physics. And so his influence would be tremendous in all three religions that we are concerned with: Islam, Christianity, and Judaism. His influence tends to be in two related realms, or factors. One is its comprehensiveness. They didn’t translate everything of Aristotle’s, but all three civilizations were aware of Aristotle as a universal thinker. That somewhere, in the work of Aristotle, there’s something about everything that’s worth studying. He is then, an encyclopedic thinker in a way that Plato is not. Plato is not interested in the natural world. If you go to Plato for information about animals, or plants, you’re going to be out of luck because Plato despises things like that. Plato is very interested in ethics, in how to live life, in reality, in the relationship between matter and spirit, but he’s not a scientist. He– to put it mildly– he’s not interested in the material world, whereas Aristotle believes that the material world, although not necessarily the be-all and end-all of everything, is reliable. That our senses can give us decent information, that observation of the natural world leads to more than merely practical knowledge of, say, how to plow, or how to plan things, but leads to knowledge of what creation, what nature, is. So Aristotle is encyclopedic and he’s also rational. This is the second contribution that Aristotle makes. Rationality, that anything from plays to rocks can be understood in terms of logical analysis. This is fine when it comes to plays and rocks, but what about metaphysics? What about the world of religion? Aristotle has a profound influence here, again not only on Islam, but on Judaism and Christianity, because he essentially encourages a rational view of God. Now Aristotle is himself not much of a theist, that is to say, Aristotle doesn’t go on about God very much, and whatever God there is in Aristotle is not a personal god to whom you would pray on the assumption, or in the belief, that he was interested in your well-being. The closest Aristotle gets to God is the notion of a kind of Great Mechanic. The Prime Mover, as he would be called in Western philosophy. The guy who makes the mechanism, sets it going, and maybe, every so often maintains it. Maybe. A little oil here, a little bit of timing there, but he’s not the God of Gregory of Tours. He’s not the God who is inspiring saints to get revenge when their powers are questioned, or when somebody steals hay from them. This is not Aristotle’s god. Aristotle’s god is not concerned with our little petty squabbles. It’s not Muhammad’s God exactly, either. It’s not a god who brings a victory in battle, who’s interested in a new prophecy that will seal all the previous prophets, it’s a somewhat mechanistic god. It’s an eigteenth-century god, even a sort of deist god, for those of you who have studied that. The notion that the world must have been created by God, because it has a lot of design in it. It works. One animal gives birth to another animal just like it, the tides go in and out, the weather is usually rational: winter is usually cold, Halloween is usually crisp. That’s imposed by some kind of original order. Just like if you went and found a watch on a deserted pathway, you wouldn’t assume that nature had constructed the watch, that it just was growing there the way the ferns were growing by the path. You would assume some artificer had made it. But that doesn’t mean that the artificer is still alive, still interested in the watch, inclined to take care of you. I go on this detour, or seeming detour about Aristotle, because he’s important to everything in the period that we’re discussing, and also in the period that is concerned for the West in the continuation of this course in History 211. There are three thinkers, just to take examples, the most famous thinkers in each of the Jewish, Christian, and Islamic traditions, who embrace Aristotle and in doing so embrace the idea of god as a rational companion to man. These are the Arab philosopher, known in the West as Averroes. Here again, as with Almagest, we’re using his sort of Latin-garbled name. Averroes, active in Spain, 1126-1198. Maimonides, perhaps the greatest Jewish philosopher. A rabbi, a physician, a courtier, and a philosopher, also active in Spain, but also in Egypt, 1135-1204. And Thomas Aquinas, who spent most of his career teaching at the University of Paris, 1225-1274. All of these thinkers embraced Aristotle. The Latin ones, like Aquinas, via translations from the Arabic. Aristotle was known in the medieval West, not from the Greek originals, but from translations made from Arabic into Latin. All believe that reason and faith are compatible. All based their outlook, not only on nature, but on God, on an Aristotelian form of knowledge. Interesting, in that Aristotle knew nothing about Judaism, Christianity, or Islam. So, what is it about Aristotle, what is it about Diascordes, what is it about Ptolemy, of all of these scientists and philosophers that is of such fascination to the Islamic world? All of this emphasis that we’ve made on Islamic culture and its openness to other influences may seem strange to you in light of the reputation Islam has in modern America, or at least in many circles of modern America and Europe, as being obscurantist, or anti-modern, or religiously inflexible. I teach a group of retired people where I live, just outside New York, and we’re studying Islamic Spain. And they are astounded at what I’ve just described, at the openness of Islam to other civilizations, at its tolerance, at its curiosity about classical and Persian science. And I was surprised because this is not new information. This is not something that historians have just come up with and just discovered. If you read medieval history textbooks of a hundred years ago, it’s in there. Everybody knows that Aristotle was translated from Arabic into Latin. “Everybody knows”, everybody who studied the Middle Ages knows. Professor Paul Freedman: Right, me too. I don’t want to go into a long discussion about, “Islam, right or wrong?” Or, “Islam, progressive or regressive?” I will say this: there are those who believe, wrongly in my opinion, that there’s always been this “clash of civilization”, as it’s sometimes called, between the progressive Christian West and the obscurantist Islamic East. I don’t accept that, in part for reasons you’ve just heard. There is no consistent Islamic tradition of the maintenance of dogma, or the conversion of the world by force. Insofar as that exists now, it is, in my opinion, a modern phenomenon. It is a phenomenon that results from an encounter with the West beginning around the time of Napoleon’s conquest of Egypt, perhaps. It’s about two centuries old. There’s another kind of belief that at some point things changed. There’s a book by Bernard Lewis, the most eminent Western scholar of Islamic culture, called “What Went Wrong”. And so Lewis’ assumption is that the world that I’m describing, the Abbasid caliphate, is an open society and at some point and for some reasons, the Islamic world closed itself. It became less susceptible to outside influence, more suspicious of it, more dogmatic, more anti-modern, more fixated on literalism, what in the Western Christian tradition would be called fundamentalism, and on tradition. I don’t really like this either, because it sees all progress as the property of Western civilization. And it’s not that I am not interested in Western civilization. I’ve taught it. I’ve taught it because I liked it. I’m not somebody who believes that it’s all a tale of oppression, but I don’t think that anybody who diverts from the path of Western civilization at some point is going off the cliff, or off the trail, and into the woods. There are a lot of different civilizations out there. There’s a third related idea that the Arabs are just intermediaries. Yeah, it’s great, they translate Aristotle so that the real guys who can really use Aristotle, Thomas Aquinas et al. can get started. I don’t accept that, either, because they do more than that. They do an awful lot of original research in medicine, in mathematics, in philosophy. But, within all of this, to my mind, fruitless speculation, there is a kernel of what is an interesting problem. And the interesting problem is, why were the Arabs so much more successful in assimilating conquered cultures than other invaders were? Say, for example, the Germans. You don’t get this kind of efflorescence of culture under the barbarian occupants of the former Roman Empire. We’re talking, not just about cultural survival, keep in mind, but about an expansion of science and allied arts. I’d say there are maybe four factors that encouraged the Arab conquest to absorb these new influences. They’re not in themselves explanations, but they are certainly background factors. The fact that the conquest was quick and relatively painless, and that it was not really a religious war. Two, and I think here very important, the elimination of frontiers. I mentioned this briefly before. You get Persian as well as Greek astronomy. From India you get things like chess, so called Arabic numerals, which actually, as we all know, come from India. These things come into the Arab and Persian worlds from India and eventually to Europe as well, in a world in which there are no frontiers between India and North Africa. They could go these thousands of miles peacefully. The elimination of linguistic boundaries. Arabic becomes the language of learning, as much as Latin would be in the European Middle Ages, much as English has tended to become in our era. So Maimonides, the great Jewish philosopher, wrote largely in Arabic. The Christians of Spain, so called Mozarabic Christians, studied Arabic, fought in Arabic, wrote in Arabic. And finally, number four, the attitude of the conquerors and the conquered. The attitude of the conquerors was what Peter Brown in the reading for Wednesday will call, “a garden protected by our spears”. This is a quote from one of the conquerors. The Arab conquerors considered these to be wonderful civilizations that they were not going to pillage or destroy, but rather protect. “A garden protected by our spears.” But they were planning on enjoying the garden, not merely standing on the outside defending it for other people to enjoy. The conquerors were confident in their religion, so confident that they didn’t need for others to recognize it or convert. It also gave them the confidence to accept new ideas from Greek civilization, from Persian civilization, from India. But there’s also the attitude of the conquered. Brown says that, “as the storm of the Arab armies rolled over the horizon, the population of the Near East sat back to enjoy the sunshine.” The Islamic conquest was of benefit, and perceived as of benefit, by most of the people who were conquered. A kind of counterexample, in a way, explains this. In Cordoba, the capital of the Umayyad caliphate, or soon-to-be caliphate of Spain, a group of Christians around 850, were so upset at the contented attitude of the Christians of Islamic Spain– who were, if not a majority, probably about fifty percent, close to fifty percent at this time– these more fanatical, or at least more serious Christians, were so angry that all of their compatriots seemed to be just fine with Islamic rule that they got up in the marketplace of Cordoba and denounced Muhammad as a charlatan, as a false god, and as not a prophet. And while Islam is tolerant, that is something that you couldn’t do. So they did the thing that was most defiant of the regime, really the moral equivalent of burning yourself in the marketplace, and indeed they were imprisoned, told to recant, and when they didn’t recant, they were executed. There are about fifty of these “Martyrs of Cordoba”, as they’re called. But they have to seek martyrdom because they have to look for it, they have to create it, because almost all the rest of their compatriots are perfectly happy to be Mozarabic Christians, practicing the freedom of their religion under a beneficent regime. Beneficent, in the eyes of these Martyr Christians, but nevertheless the regime of the devil. This shows you something about the nature of the Arab conquest and occupation. Let me just speak briefly about a couple of aspects of what the Islamic world was interested in studying, and we may continue over into next time since the lecture on the seventh century is actually rather short. Let’s start with mathematics. The great accomplishment of this time is the introduction of Arabic numbers, which if you’ve ever tried to multiply or divide with Roman numerals, are superior. Arabic numbers come from India, and along with this system of numerals, they imported zero– both the number, or the non-number, and the concept. The concept of zero allows for things like decimal places, which are also developed at this time. From India the Arabs get the kind of very basic ideas of trigonometry, the sine function. But it is their own researches, their own progress, that leads to the discovery, or development, of the five other functions. And here I’m on kind of tricky ground, because despite what they tell you about math literacy and how important it is, I haven’t used this since tenth grade. But I do remember the cosine, the tangent, the cotangent, the secant, and the cosecant, right? All of these are discovered by the Arabs. They built on an edifice who’s foundation is Indian mathematics. In the early ninth century, a scholar attached to that House of Wisdom in Baghdad, named Al-Khuarizmi. In the early ninth century, Al-Khuarizmi writes a book with the title that can be translated as something like, The Book of Addition and Subtraction According to the Hindu Calculation. And this is what incorporates zero and decimal places, and interestingly enough this book is known only from its translation into Latin. The Latin version survives, whereas the original Arabic does not. Within a century of the publication of this book, decimal fractions have been developed, square roots, the value of pi to sixteen decimal places had been calculated. Al-Khuarizm is also the author of a treatise on algebra. The word “algebra” comes from al-jabr, which is sort of restoring, restoring something that has been imbalanced and that you’re now going about to balance, which of course is, in a way, the visual nature of algebra. Al-Khuarizmi was also an astronomer. He developed star tables that allowed one to locate the planets and stars at different times of year and at different latitudes. This is what allows the making of things like astrolabes or, later, sextants. These are things that describe the sky at a particularur [correction: place]– that allow you then to keep time; and also to navigate; to calculate time for things like prayers, or feasts, celebrations; also to cast horoscopes. I’ll work a little more with you on geography, medicine, and then summarize the Abbasids at the beginning of our next class. So I’ll let you go for now. Thanks. Wickham, The Inheritance of Rome, pp. 318-347.